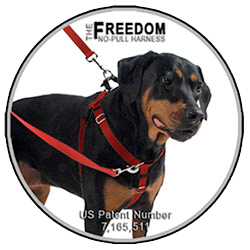 * Pliable and flexible Zogoflex Zisc is gentle on mouths. 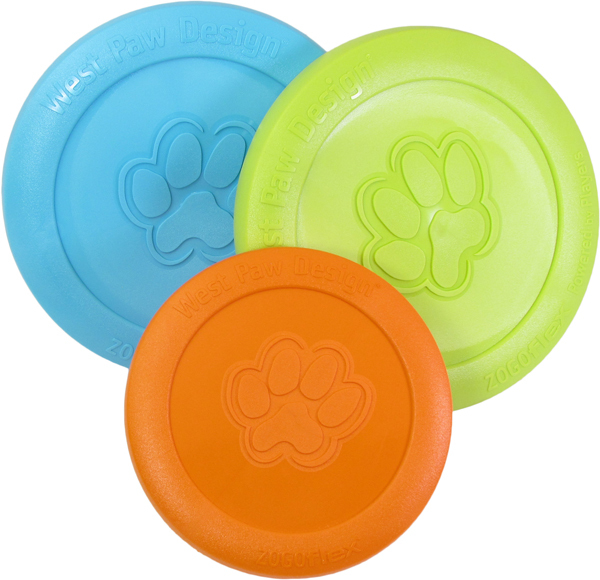 * Tougher than hard plastic, but gentle on humans hands and doggie mouths. * Flies faster than fabric plus it floats. * BPA FREE and FDA compliant. Zisc is also recyclable, dishwasher safe, and made in the USA. Yep, it is one amazing dog toy. 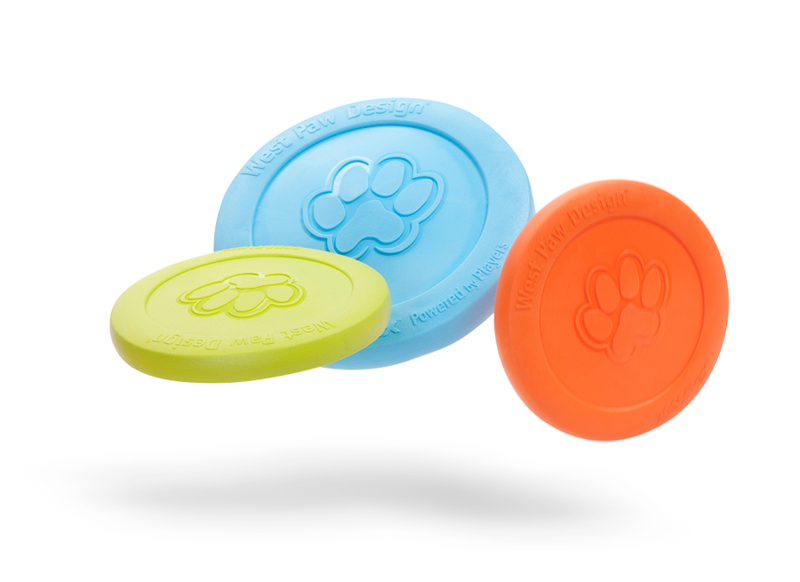 Choose from two sizes and four fun colors. 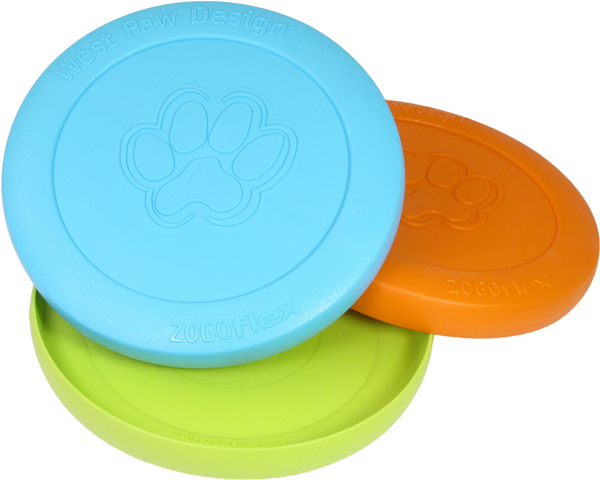 Since Zisc is made from extremely tough Zogoflex material, if your dog damages the Zisc, you may return the toy to Westpaw for a 1-time free replacement toy. This toy is durable, however, no Dog Toy is indestructible. Should the toy become damaged immediately remove from use. 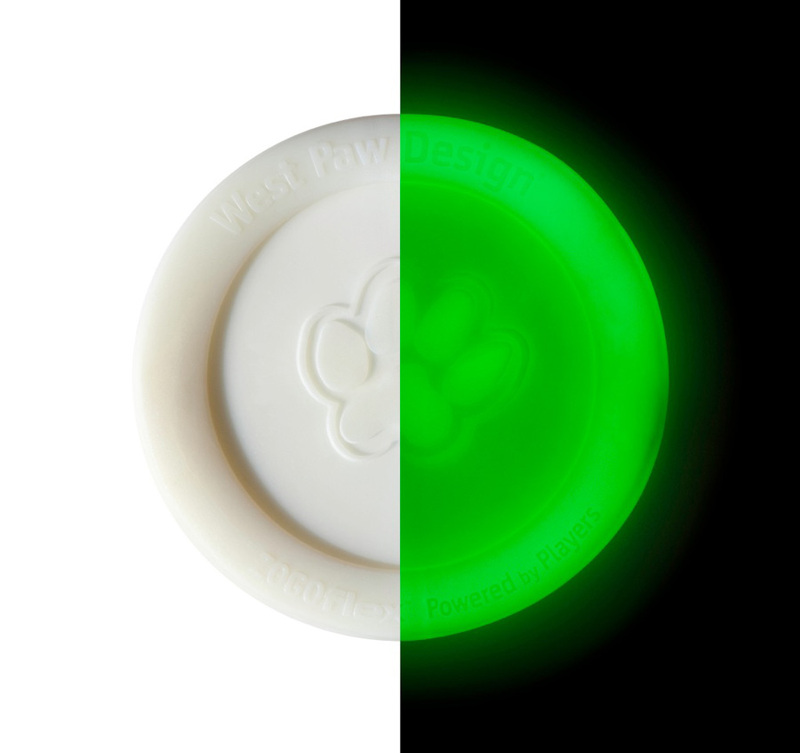 You may mail the toy back to WestPaw Design and take advantage of the 1-time chewing warranty. Dogs should be supervised during play interaction with any toy.